There are about 1000 UNESCO World Heritage Sites in the world, of which India has 32. The least well known amongst them, has to be the Chalukya Trails of Badami, Pattadakal and Aihole. And we fail to understand why? 1,500 years ago, The Chalukyas were the Bid Daddy of Southern India. And they carved out stunning sandstone cut rock carvings and temples, such as these. To understand the significance of their glorious reign and what remains of them in Badami, Pattadakal and Aihole, let us put this in perspective. Shah Jahan was more than a 1,000 years away from being born before building the Taj Mahal. The intricate stone carvings of Belur and Halebid were atleast 500 years away while the Cholas and towering temples were 300 years away from stamping their authority in the Kaveri basin. In fact, the temples of Pattadakal have unknowingly provided the architectural inspiration for all future South Indian temples till date – The gopura (tower) in South Indian temples is first seen among the Chalukyas. 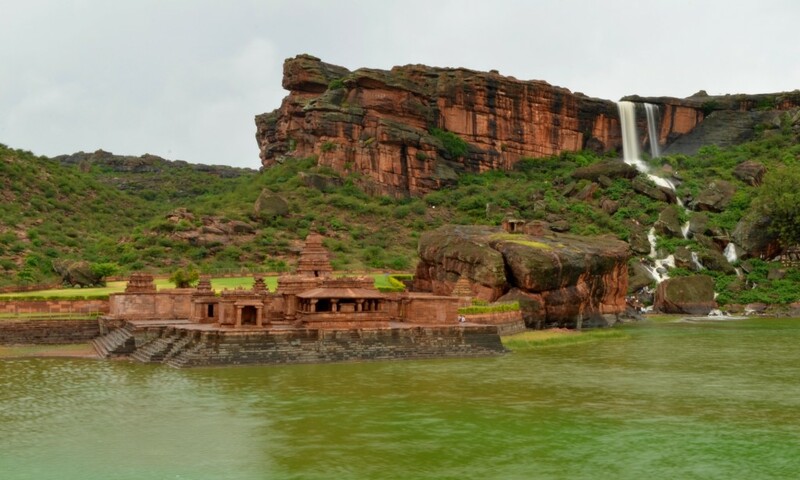 The most popular of the 3 places is Badami, for its famed Cave Temple Complex. The caves are 4 in number and are dedicated to various deities from Hindu and Jain Mythology. 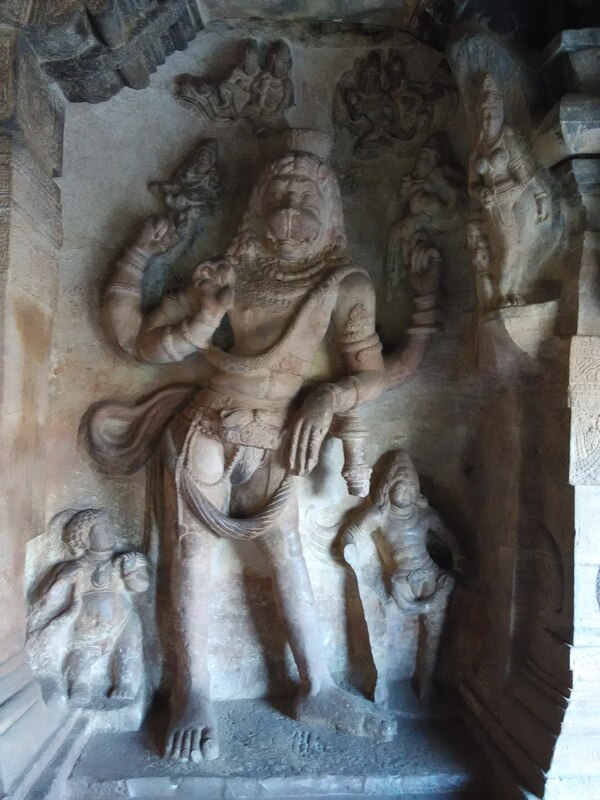 At the entrance of the first cave, you are greeted with this awe inspiring image of a Dancing Shiva. And the carvings get more awe inspiring as you climb higher. 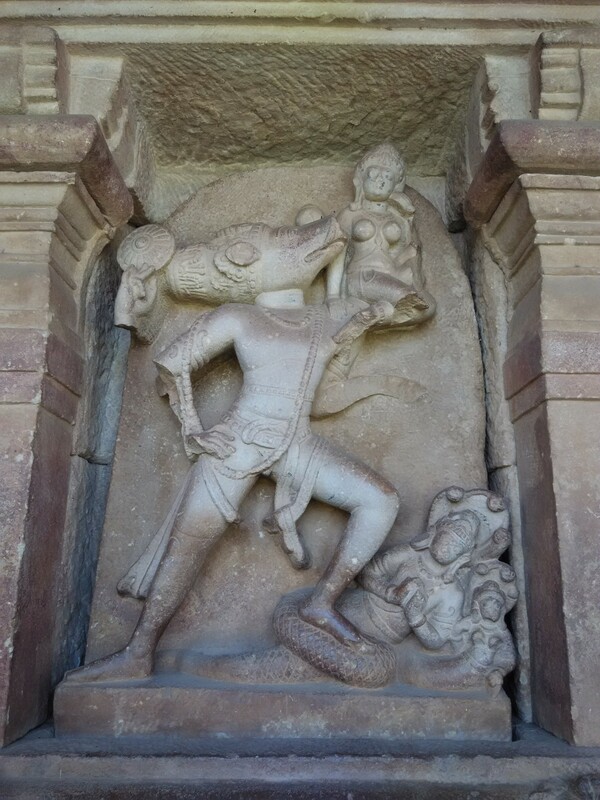 Like this Varaha image, representing the 3rd Avatar of Vishnu in the form of a boar rescuing mother earth from the clutches of a demon. This was carved out of a cave. And they had no undo option while editing back then. Btw, it is Mother Earth being rescued by Vishnu in the form of a pig. Or that of Narasimha– representing the 4th avatar of Vishnu (the protector) in the form of a half lion, half human being. Notice the eye for detail.The facial expression, the layers of clothes and the demi gods around him.  Very close to the Cave Temple complex, is the Bhuthanatha Temple complex. 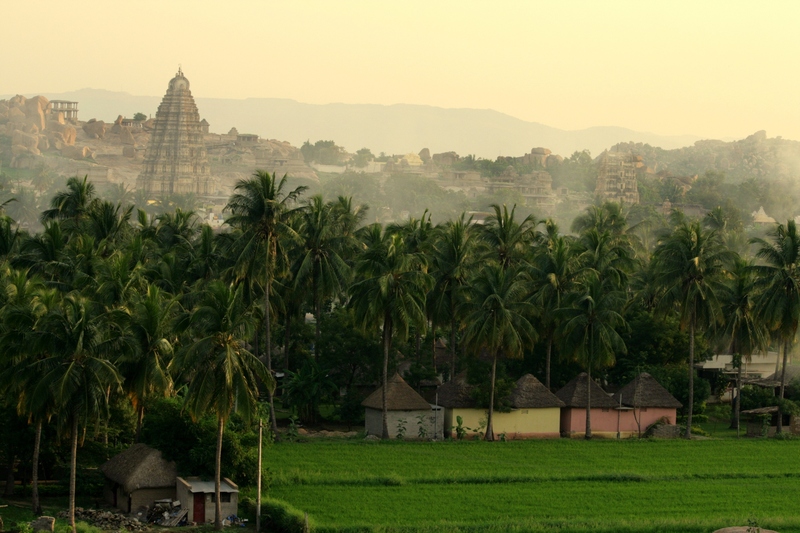 This complex has free standing temples, albeit small in size. And during the monsoons, it looks like this. A temple with a waterfall to boot. Quite some real estate we say! However, at Pattadakal, the free standing temples get bigger and better, while the carvings continue to amaze one and all. 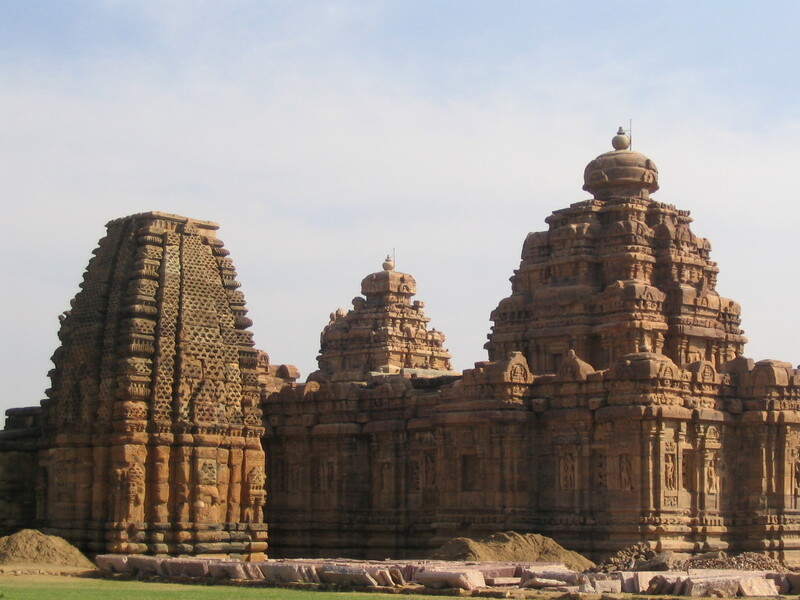 The Virupaksha Temple is the largest and the most popular of the temples at Pattadakal. But for us, this amazing idol of Nandi steals the limelight. 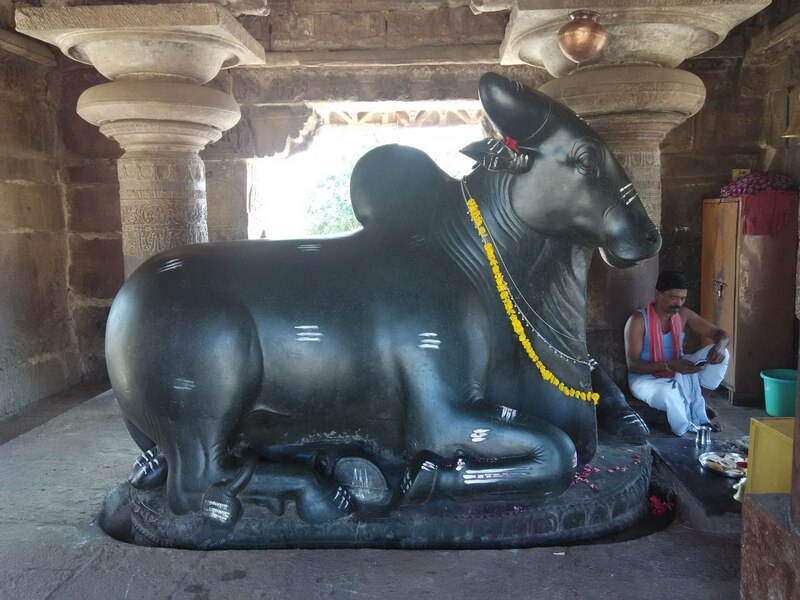 This idol of Nandi is atleast 1000 years old and looks sparkingly new. Surreal. 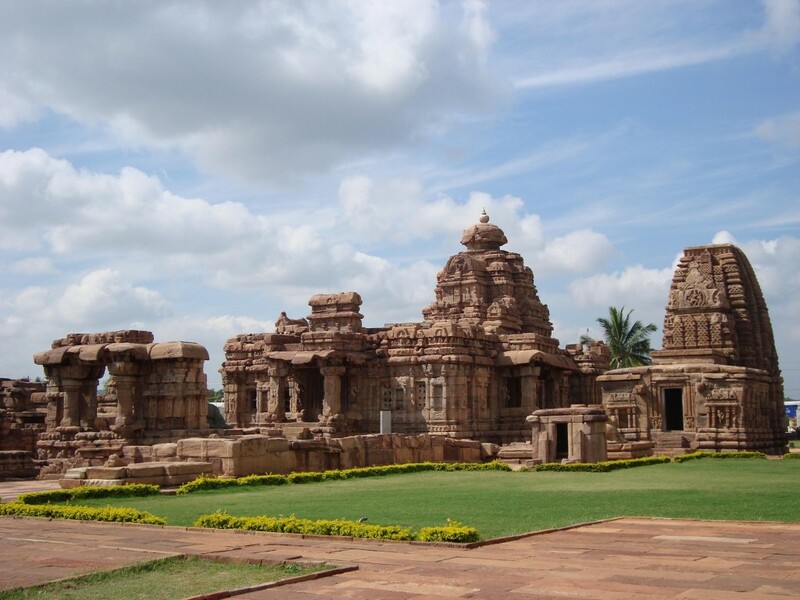 The temples at Pattadakal are also a case in study for the mix of architecture it showcases. 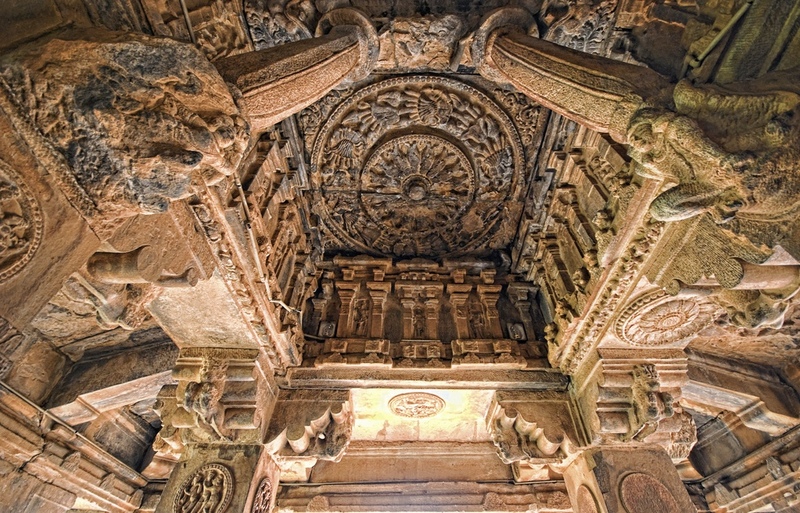 Considering the geographical location of the Chalukya Empire, there was considerable exposure to both the Northern Indian style of architecture (towers with curvature) and Southern Indian architecture. The temple complex of Pattadakal was designated a UNESCO World Heritage Site in 1987, while Badami and Aihole remain on the proposed list. Yet, the 3 temples remain a largely hidden secret. Yet for an informed connoisseur of ancient Indian art, they are a must visit. However, the infrastructure to get to these places is typically not great, especially if you are travelling from Hampi or Goa. The best way to explore the Badami, Pattadakal and Aihole would be on the Khardantu Pass of goMowgli where we showcase all the highlights in a single day tour starting and ending at Hampi. Needless to say, there will be tones of magical stories about the mythical Hindu gods of the Chalukyas. Photo Credits: A few images, with appropriate reuse rights, have been sourced from Wikipedia and used here in this blog post.